#NewYouAtSM continues to bring a beautiful season in store as it highlights 8 key looks that will see you stylishly through the season. White denim is a beautiful switch for a fresh, clean look. You’ll never go wrong with this great denim variation whether in a very sophisticated luxe, sporty high fashion or summer casual. White denim is a beautiful switch for a fresh, clean look. Elevate basics like a white crop top and paper bag pants to utility chic. Utility looks have been hitting the runway in chic safari or modern military or anything in-between. Think of utility trousers paired with a basic top and a frilly accent - a new softer way of working the utility trend with a summer spin on it. Prints and pattern mixing will have a major moment this season. Ladies, “stripe” a pose in this season’s pretty pastels, available at The SM Store. Prints are big and so are Stripes. Prints and pattern mixing will have a major moment this season while there’s no better statement than stripes and stripey staples in pastels which are looking hot for 2019. Yellow is the next big thing spotted as seen in Spring 2019 runways of New York Fashion Week. 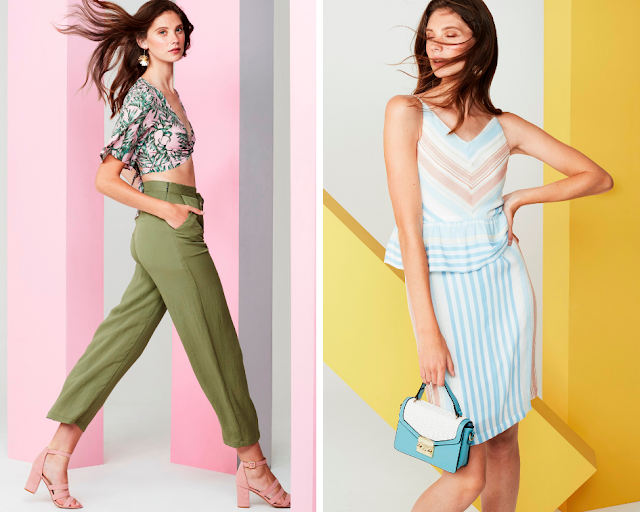 From Self-Portrait, Kate Spade New York, and Lela Rose to Adeam, Brandon Maxwell and Monse – these designers incorporated this cheery color into their spring 2019 collections. Say “Yellow” to a New You here at The SM Store. 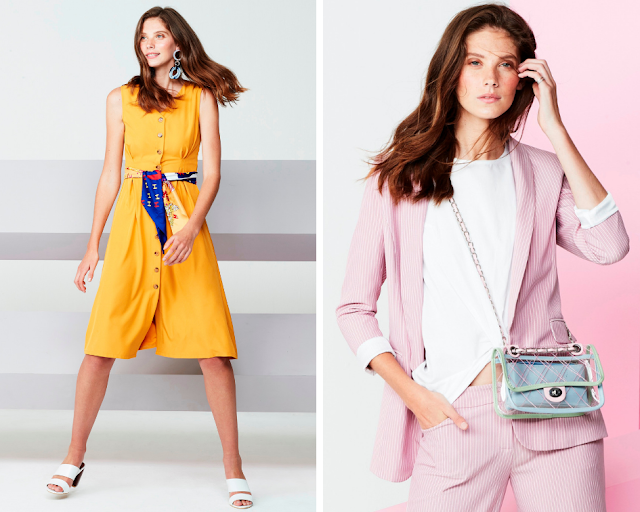 Get fashion points for laid-back suiting. Suiting in colors and patterns and pairing it with a tee keeps the outfit perfectly balanced and creates a laid- back look. Today’s fashion forecast: sporty in this one-piece swimsuit and rubber shoes. Textured separates to make a date night look more interesting. Textured separates you can mix and match makes your outfit more interesting; while a Sporty look is a great way to stride in style. Which one of these is your style? Whatever style you're in, be a trendsetter at The SM Store!